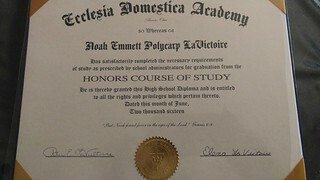 A homeschool diploma granted lawfully in the state of Ohio is considered proof of completion of a high school education. This is what you need to know. This is an update from my post in 2015. My oldest son, Calvin, went to EMT and paramedic training at a local hospital. On the application, there was a section that wanted to know the name of his "accredited" high school. He had graduated from a local digital charter school which had only been open for a few years, so I was a little concerned about whether or not that would count. It apparently did because he was accepted to the school and earned his paramedic credentials. He is now married and gainfully employed in Charlotte, NC. That made me wonder about the diploma I issued for my second son, who graduated from our homeschool in 2011. 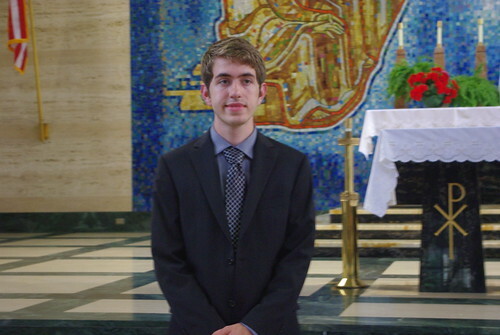 Would he face a problem if he applied to college, or sought employment opportunities? So far he has not had any problems getting a job with his homeschool issued diploma and he has not been asked to get a GED. Luckily he has also been fully employed for the past six years. But could that be a problem for him in the future? I was right to wonder. 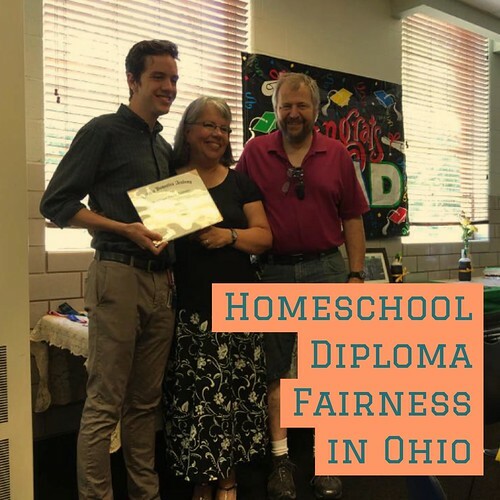 In 2014 a homeschool graduate, with some completed college courses and relevent work experience found a job offer rescinded because his high school diploma was from his homeschool. In 2013 an institute of higher learning told a qualified homeschooled student to come back with a GED. Another student who had already been accepted at an institution was told to produce a GED or leave right in the middle of a semester! A person who has completed the final year of instruction at home as authorized under section 3321.04 of the Revised Code and has successfully fulfilled the high school curriculum applicable to that person may be granted a high school diploma by the person's parent, guardian or other person having charge or care of a child as defined in Division 11 of section 3321.01 of the Revised Code. That law was amended in 2016 Senate Bill 3 Parent- issued diplomas. This bill includes a revision to the diploma fairness law. It removes the option of having the local superintendent sign a parent-issued diploma. Parent-issued diplomas may simply be accompanied by the excuse letter for the final year of home instruction. It also adds the option that a homeschooling parent may assign the state seal of biliteracy to the student's diploma in the same manner as school districts and chartered nonpublic schools. What does this mean to the average homeschool graduate? Quite simply it means hang on to the official letter of excused issued by the district superintended for the student's FINAL YEAR of home schooling. That excusal letter is always important, but it is vitally important the senior year since by law it validates the diploma. Keep the original with important papers in a lock box. Scan it into the computer for digital back up. This means that for the purposes of employment, or any other situation that requires proof of this requirement, a diploma granted with either of these top options is considered proof of completion of a high school education. What if your student is over 18 years of age but not a graduate? The student doesn't need an excuse letter by law because he/she is over the age of compulsory education. 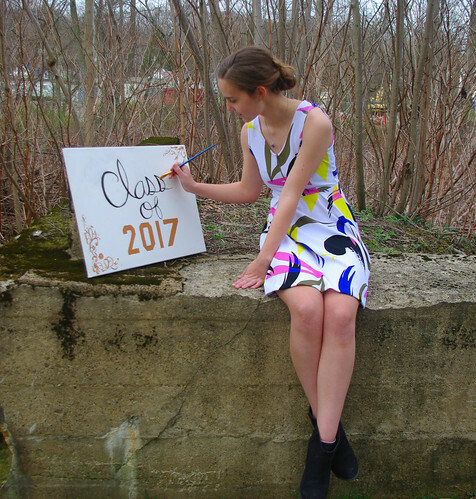 But you also want the final letter to go with the diploma. Should you notify or not? I also heard from Attorney Jill from HSLDA July 20 on this issue. She told me that in Ohio, you do not have to send in a notification once the student is 18. HSLDA says that the final letter would mean the final letter under the compulsory age requirement. However, some families will choose to send in a notification after age 18 so that they have that letter for the final year of high school, and that's fine! If the parents are comfortable with that, they can go ahead. As in all things, do your own research and make decisions based on what is best for your family. DO NOT get bullied into doing things you feel uncomfortable with by "letter -of-the-statute-only" zealots. The local school district shouldn't bully you either. If you decide to keep notifying after age 18 you are NOT dishonoring the sacrifice of the homeschoolers from generations past by doing what is comfortable for you. Those homeschoolers fought for educational freedom - it would be dishonoring them not to use yours. 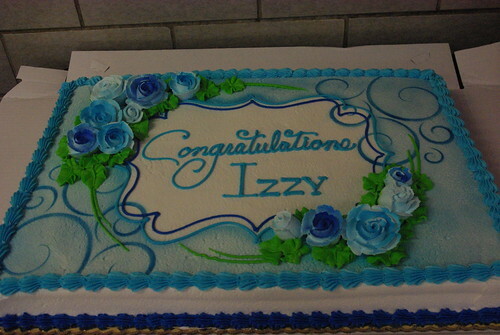 Homeschooling through high school is quite an accomplishment! Be proud of yourself and your graduate!